Venture out of the city with trips to Dolphin & Whale Watching (in Mandurah), Caversham Wildlife Park (in Whiteman) and Fremantle (Fremantle Markets, The Shipwreck Galleries, & more). Dedicate the 24th (Mon) to wine at some of the top wineries in the area. 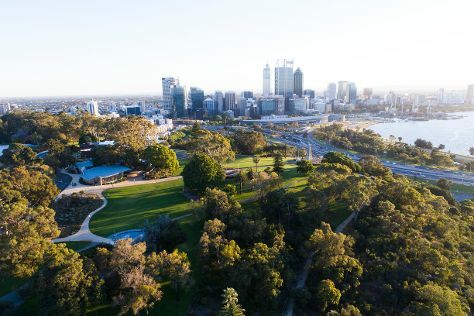 There's much more to do: take in nature's colorful creations at Kings Park & Botanic Garden, appreciate the history behind Kings Park War Memorial, steep yourself in history at The Perth Mint, and let your taste buds guide you at a local gastronomic tour. To see photos, other places to visit, ratings, and other tourist information, you can read our Perth trip planner. If you are flying in from Malaysia, the closest major airport is Perth International Airport. In June, daytime highs in Perth are 23°C, while nighttime lows are 9°C. Wrap up your sightseeing on the 28th (Fri) early enough to travel back home.